This is an interesting video (unfortunately in Italian) showing anti-poaching activity at the Strait of Messina (southern continental Italy) and in Sicily. At the Strait, poachers use to shot against migrating Honey Buzzards and other raptors in particular during spring, but also in autumn. Actions against illegal hunting has been going on from the late '80s and up to now the situation is strongly improved. 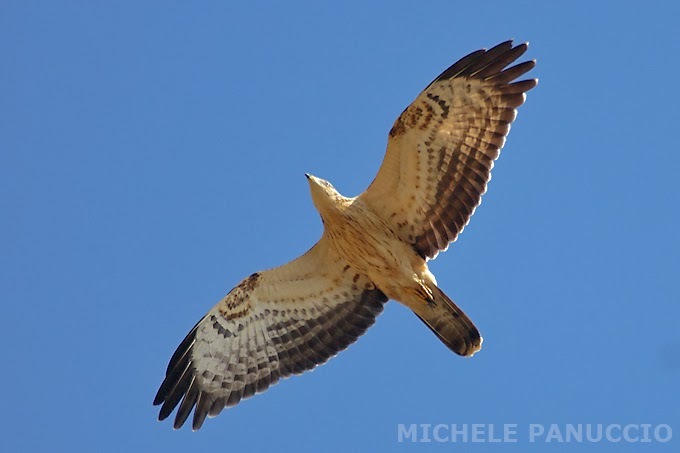 However there are still few hundreds of poachers shooting raptors from the gardens and roofs of the buildings of the surroundings of Reggio Calabria town. Giovanni Malara, that is interviewed in this video, is one of the volunteers who has spent tens of years in this struggle. On the other hand in Sicily, a project, that we support, is monitoring the breeding pairs of Bonelli's Eagles to avoid rubberies of chicks. The video was made by Luca Verducci for "Repubblica TV". Last saturday our friends from Ornis Italica observed a large flock of Honey Buzzards, about 60 individuals, roosting at the island of Linosa in southern Italy. It's a bit late for the period but perhaps the bad weather conditions over the Central Mediterranean may have forced raptors to slow the migration.